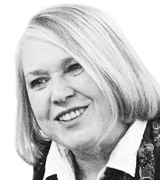 Civility in politics is becoming more and more difficult to achieve. The latest Economist/YouGov Poll shows a nation divided, with many Democrats and Republicans regarding those across the aisle as not just different from themselves, but also a personal threat to them. 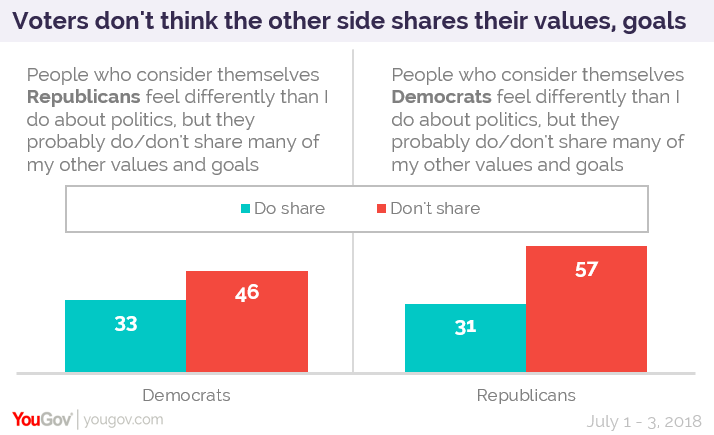 A majority of Republicans look at Democrats as people who don’t just disagree about politics, but as people who probably don’t share their other values and goals. A plurality of Democrats feel the same way about Republicans. 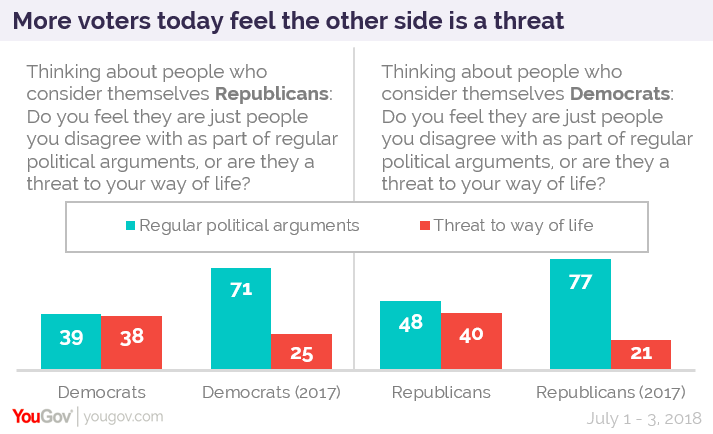 But this poll underscores the party chasm in another way: 38% of Democrats and 40% of Republicans say that those who identify with the other party are threats to their way of life. That perception may be growing. Just last year, in a CBS News telephone poll, fewer Republicans and Democrats saw the other party as a threat. Concerns about the difference in values between Republicans and Democrats is also clear when Americans are asked how they would feel if a son or daughter married someone who identified with the other party. 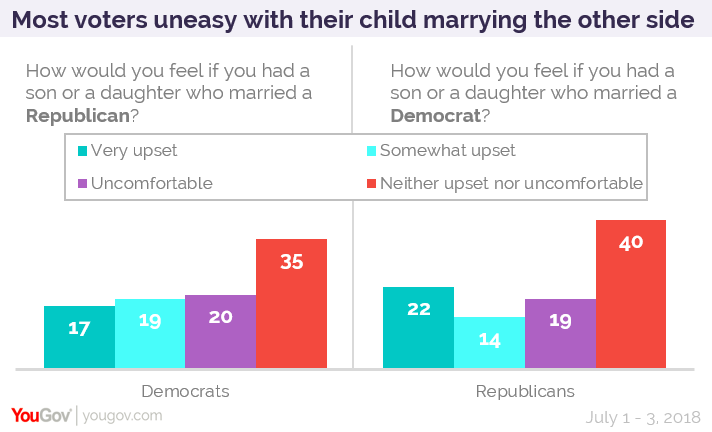 A majority of Democrats would be uncomfortable or upset if a child of theirs married a Republican; a majority of Republicans would be uncomfortable or upset if their child married a Democrat. About one in five would be “very upset” in those circumstances. The numbers are even higher when it comes to voting, and not just identifying. Six in ten of those who voted for Donald Trump in 2016 would be uncomfortable or upset if their child married a Hillary Clinton voter; more than seven in ten Clinton voters would be uncomfortable or upset if their child married someone who voted for the current President. A quarter of Trump voters and more than a third of Clinton voters would be very upset in those circumstances. There are some marriages that might be even more problematic than crossing party lines, particularly for Republicans. About one in five overall would be very upset if their child married a Muslim, an atheist, or an illegal alien. A third of Republicans would be very upset for a marriage with a Muslim of an atheist; 45%, nearly half, would be very upset if their child marred an illegal alien. When confronted with contemporary examples of uncivil actions, Americans — at least a plurality of them — want to be civil, some even going in opposition to their own party. But much depends on point of view: Democrats overwhelmingly believe that Republicans were less civil to President Obama than their party is behaving toward President Trump; Republicans overwhelmingly think they were more civil toward President Obama than Democrats are behaving now toward the current President. A majority of Democrats support the owner of the Red Hen restaurant, who refused to serve Trump Press Secretary Sarah Huckabee Sanders because of the Administration’s policy that led to the separation of immigrant families. But nearly a third do not. Among all adults, 37% support the owner, 44% do not. 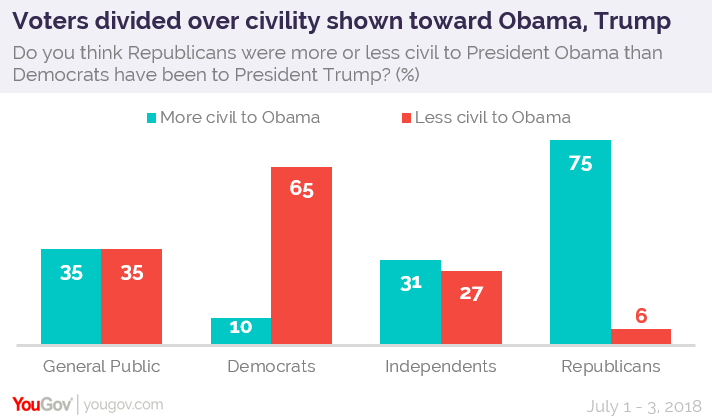 55% of Democrats want Democrats to be more confrontational in their opposition to President Trump’s policies, but 24% want more civility. 29% of Democrats find Congresswoman Maxine Waters’ suggestion that restaurant owners and shop keepers refuse service to Trump Administration officials appropriate (46% say it is inappropriate). 60% of the public overall finds the Congresswoman’s encouragement inappropriate.